Italian designers have been known as style makers for a very long time. 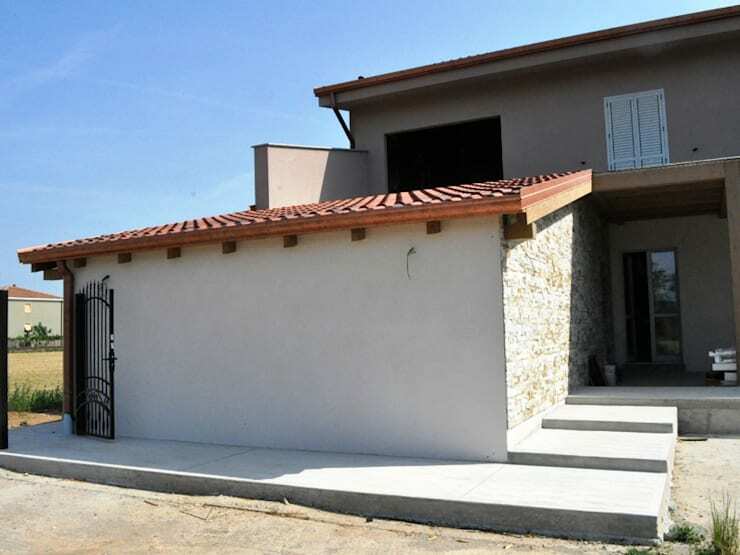 So it was certainly interesting to discover that Italian architects have started creating classic, rustic-style homes using prefabricated construction techniques. 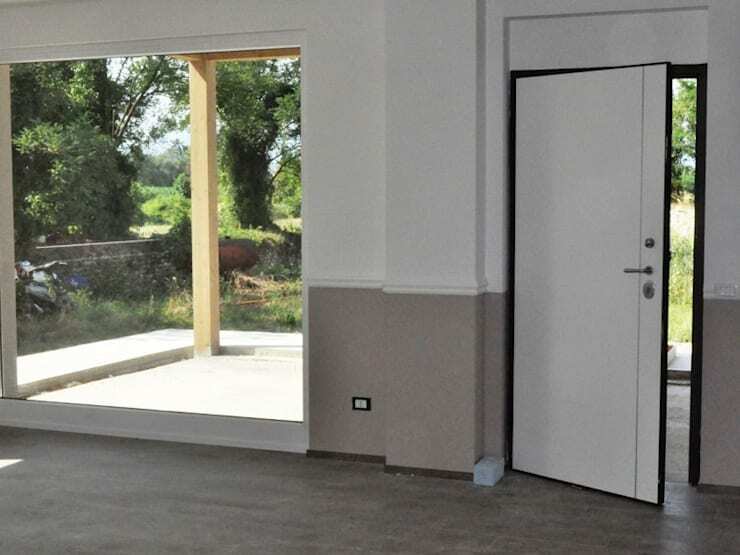 This combats one of the oldest problems many faced with prefabricated housing. 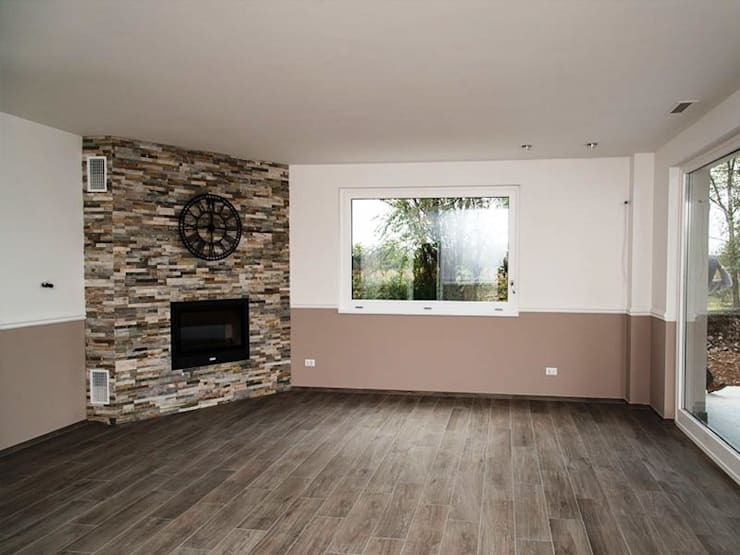 For those who are a little new to the world of prefabricated homes, this kind of home design was known for its standardized, cookie-cutter look. But with the growing awareness of the cost benefits of prefabricated housing, architects and builders are exploring the possibilities more and more. So we have prefabricated homes with classic styles like the one we are about to explore today. It comes to us courtesy of Chi Siamo Studio. Come check it out! The building covers two levels and has a double garage and open, rustic facade. This is largely due to the brick tiles that run alongside the garage wall we see here. It also has a series of gently ascending steps and a relaxed, Mediterranean-style ambience. Note the ceramic red roof tiles too. The finishes may be traditional, but the home has all the bright, open spaciousness of a modern home. The windows almost run from floor to ceiling and this allows for the natural greenery of the outside to really play a central role in the interior design. Finally, have a look at the two-toned wall finishes. They are popular in contemporary European architecture. The living room has generous proportions and a simple design. This helps contain the costs of the home and allows for the natural finishes to remain the focus. There are lots of options, however, to tailor this kind of home to suit your wishes. Here we have a rustic, homely-style living room complete with a fireplace. One of the most crucial rooms to get right is the kitchen. 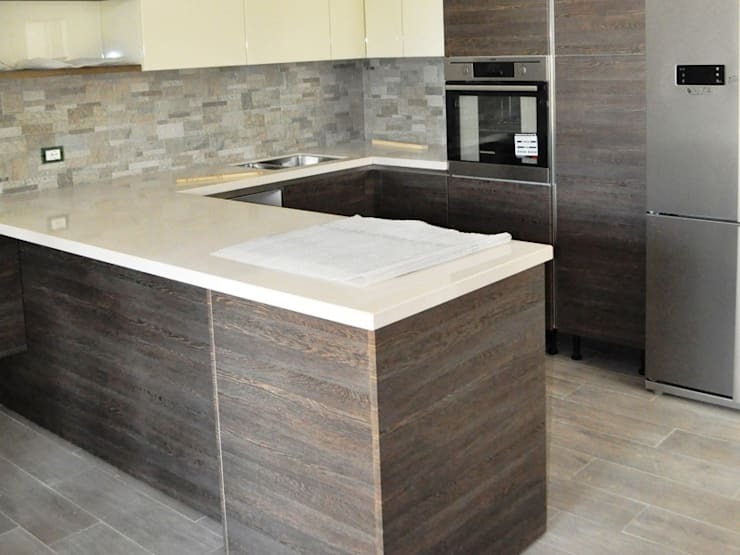 Here, we have a U-shaped kitchen design. This kind of design is good for a family home with an open-plan layout or combined kitchen/living area. The bench in the foreground here allows the cook to face towards the living area so neither area is isolated. It could also be slightly adjusted to become a breakfast bar too. 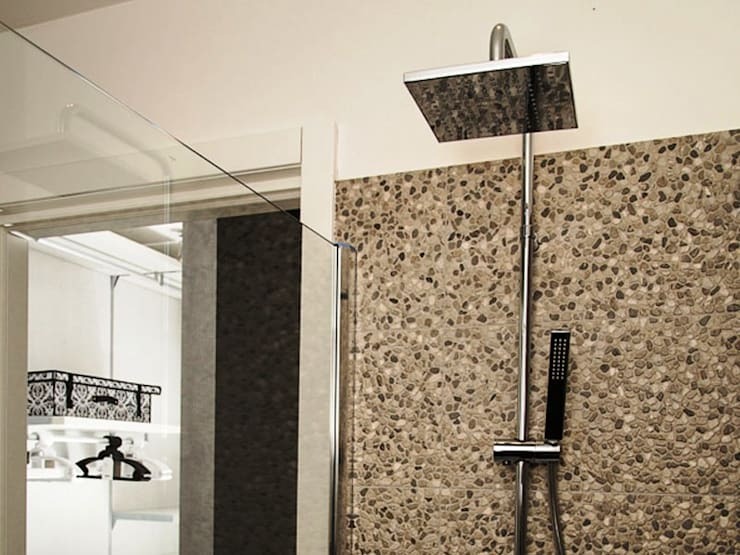 The bathroom has a shower room with a translucent glass wall that adds a modern splash to the room. 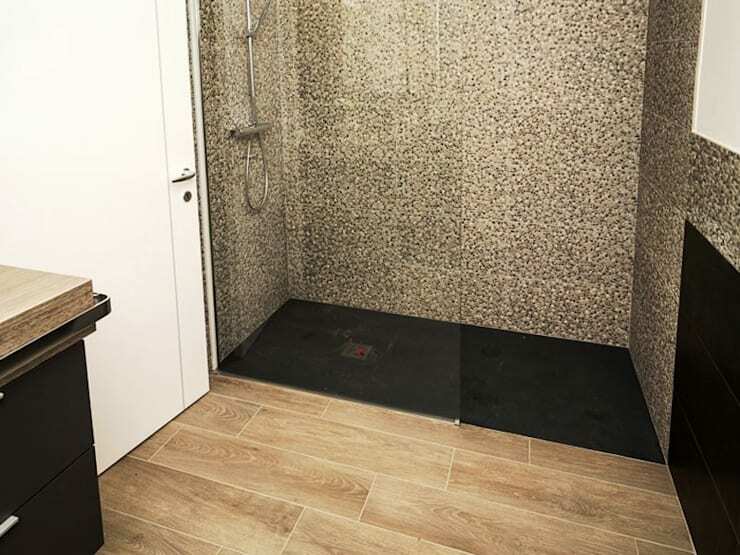 This kind of shower design always makes the wall tiles the point of focus, so the designers have used a striking pebbled tile to create a striking impression. 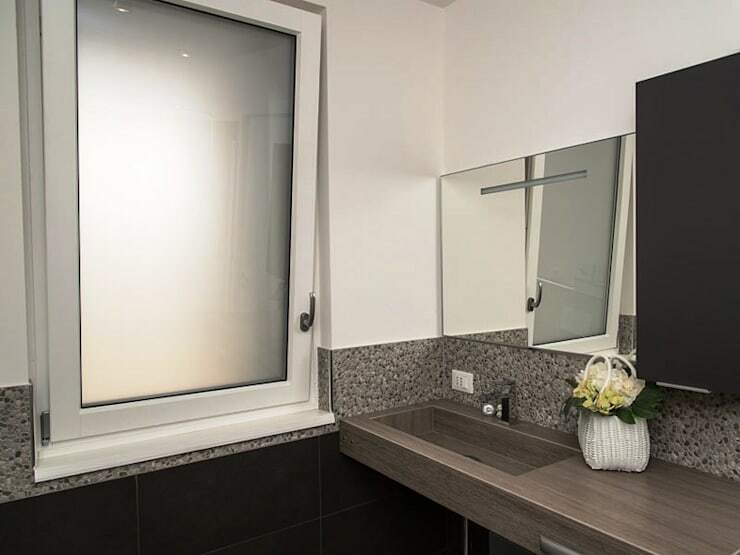 On closer view, we get a better sense of the earthy natural feel of the bathroom. When working with a budget, it's often good to keep your overall design quite simple and splash out on the smaller accent features or feature walls like this. They can really be used to define the style of a home and give it a quiet, understated look of luxury. It can be tricky to combine a rustic exterior with modern elements. In this regard, a natural colour scheme can be very successful. Here in the bathroom, we have a modern sink that runs from wall to wall. It makes for a very streamlined look. It also works well when combined with the stone panels and long mirror. There are few broken lines of sight and the total effect is subdued and natural. To finish our tour, let's have another look at the facade. It has a straightforward design with an attached garage. The broad open porch runs the entire length of the home and could be used to make for a great outdoor entertaining area. The stone feature wall and red roof tiles add a slightly classic touch. For more Mediterranean-style inspiration, have a look at The 80m2 home for a modest and comfortable life. What do you think of the natural details in this prefabricated home?